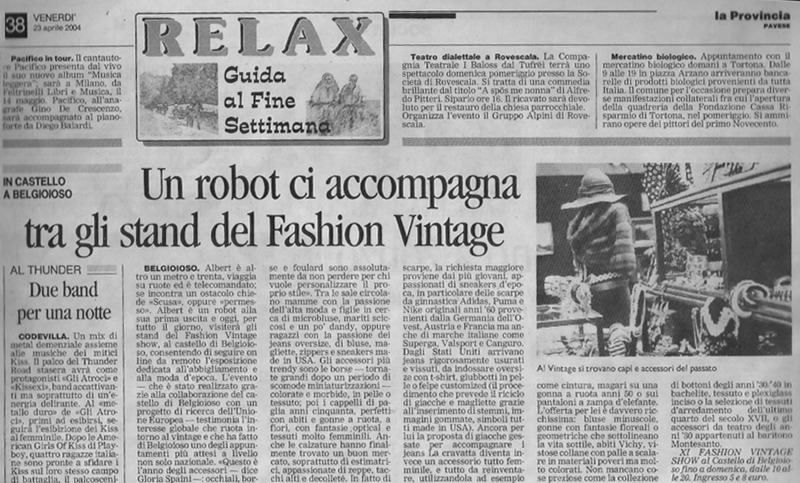 Article about the WebFair event at Belgioso , Pavia, Italy (in Italian). 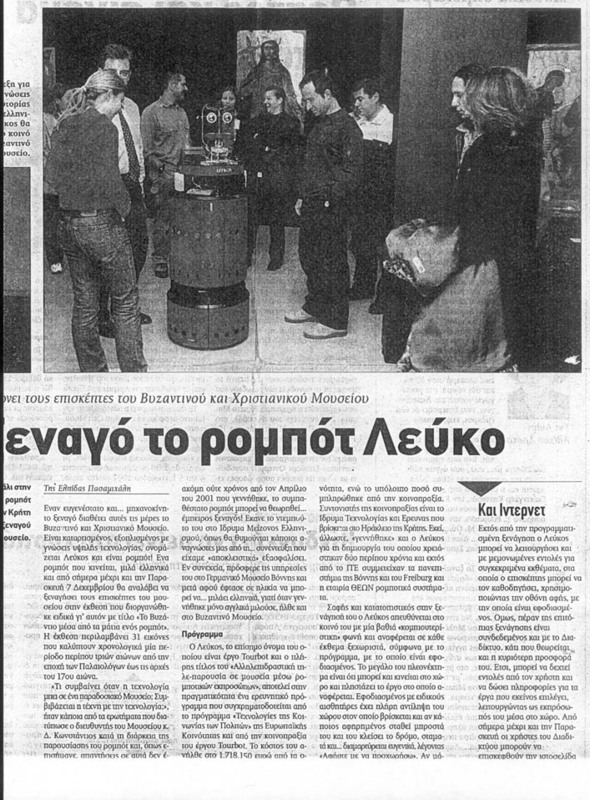 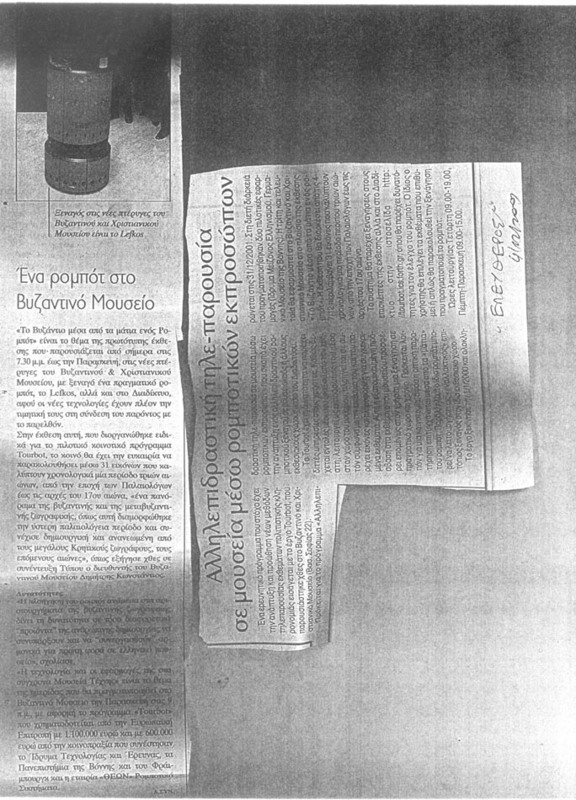 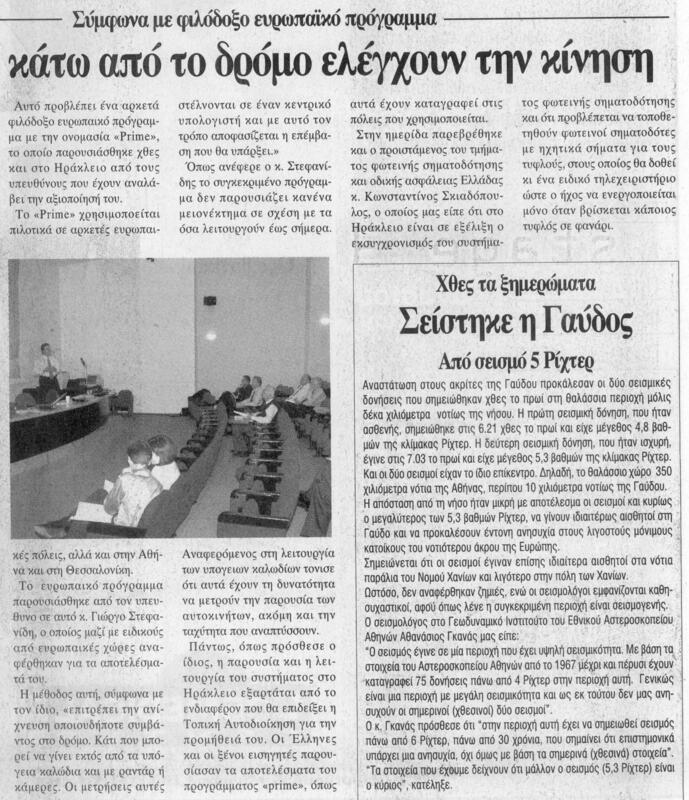 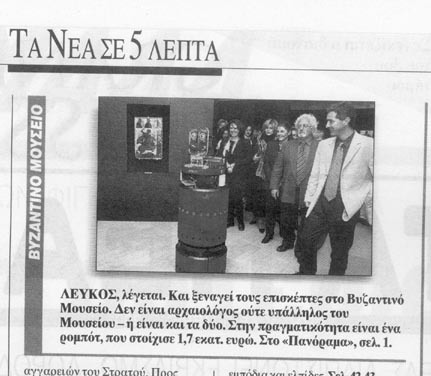 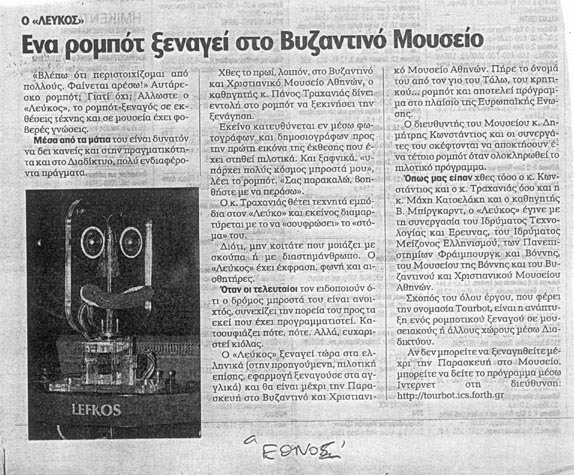 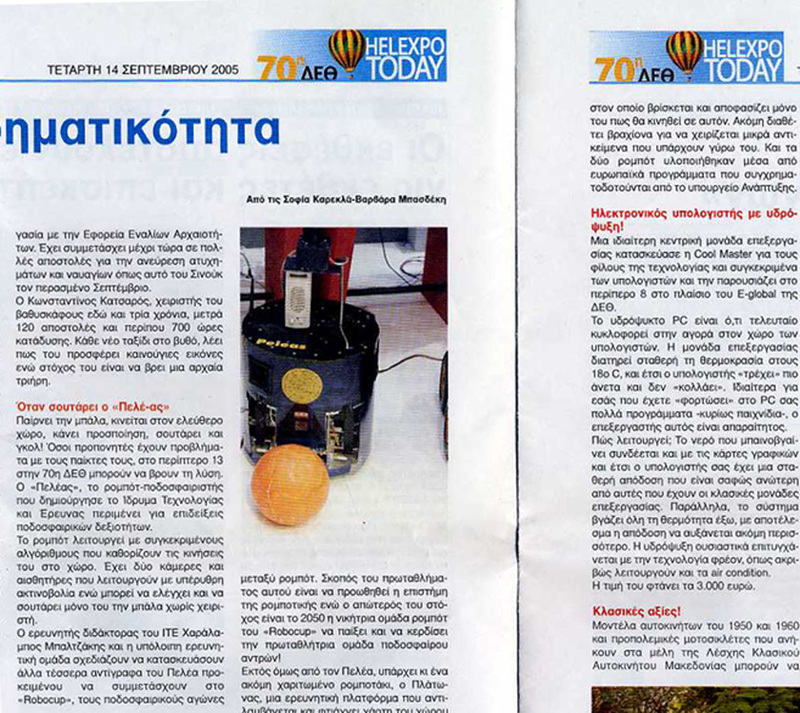 Articles about the TOURBOT event at the Byzantine and Christian Museum, Athens. 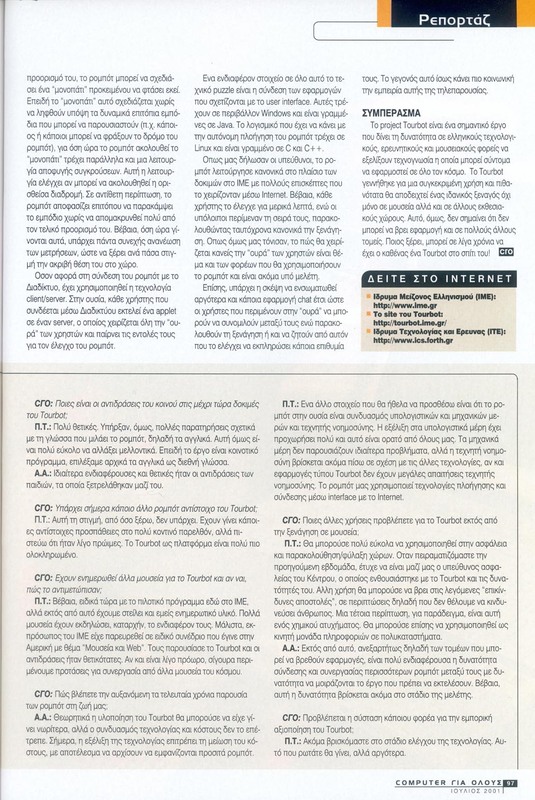 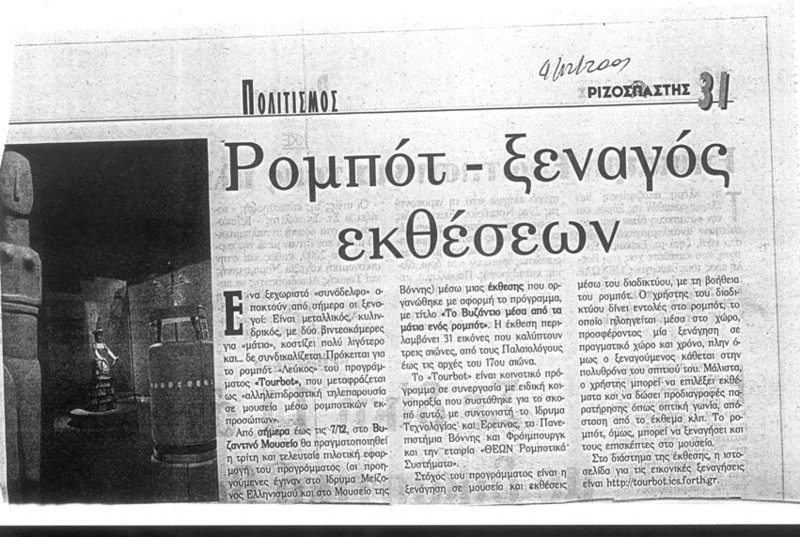 PATRIS (Tuesday, 27 November, 2001). 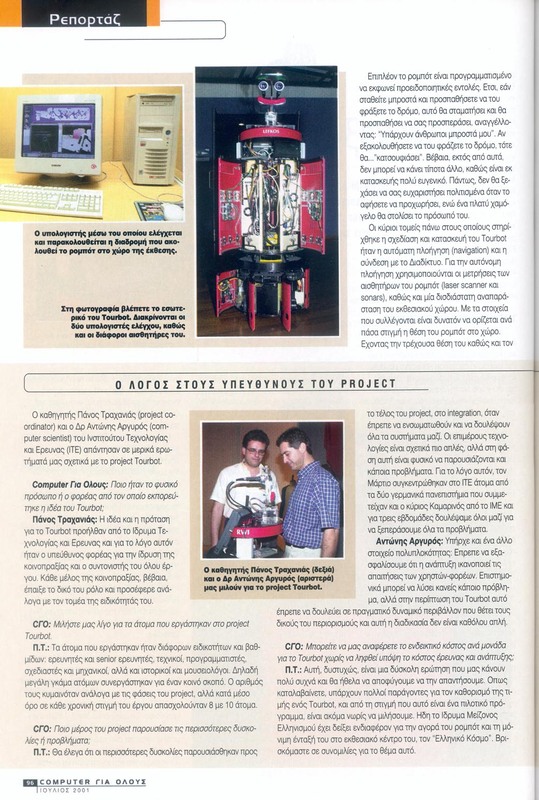 Article about the "PRIME" project. 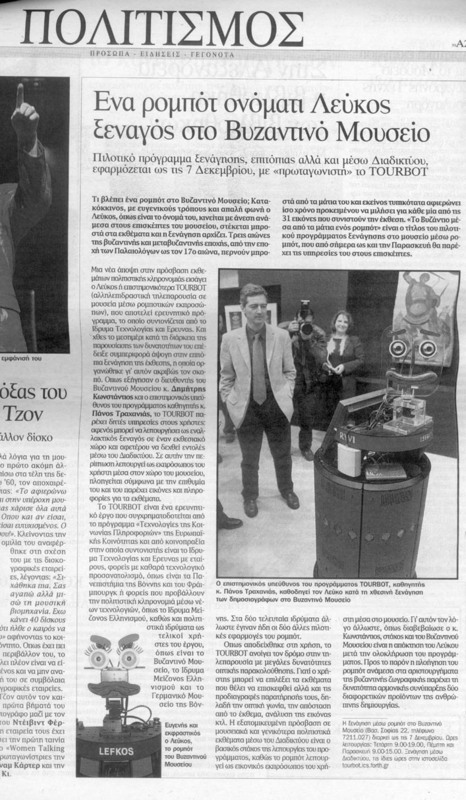 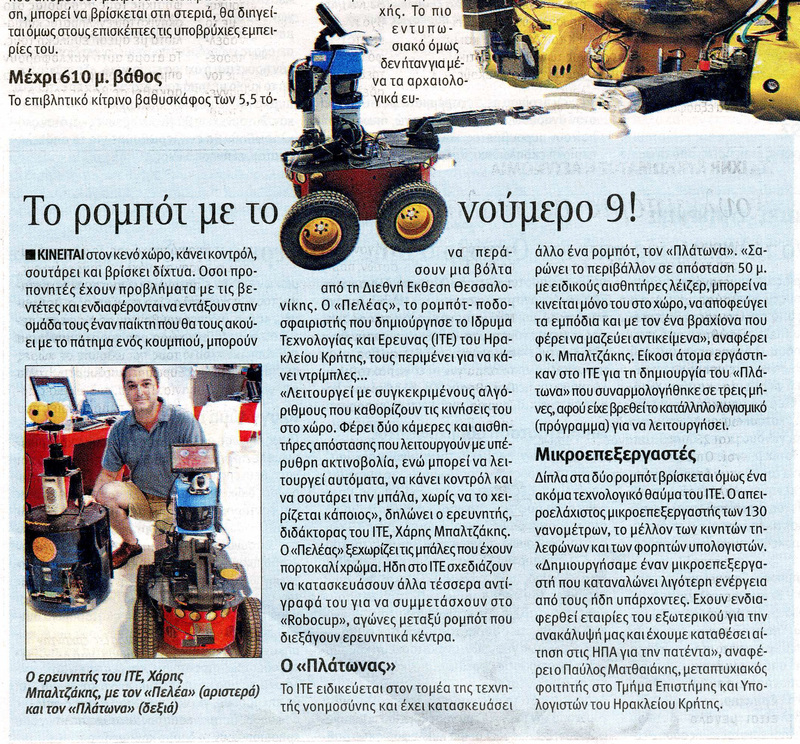 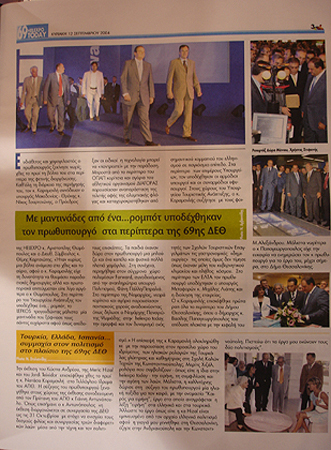 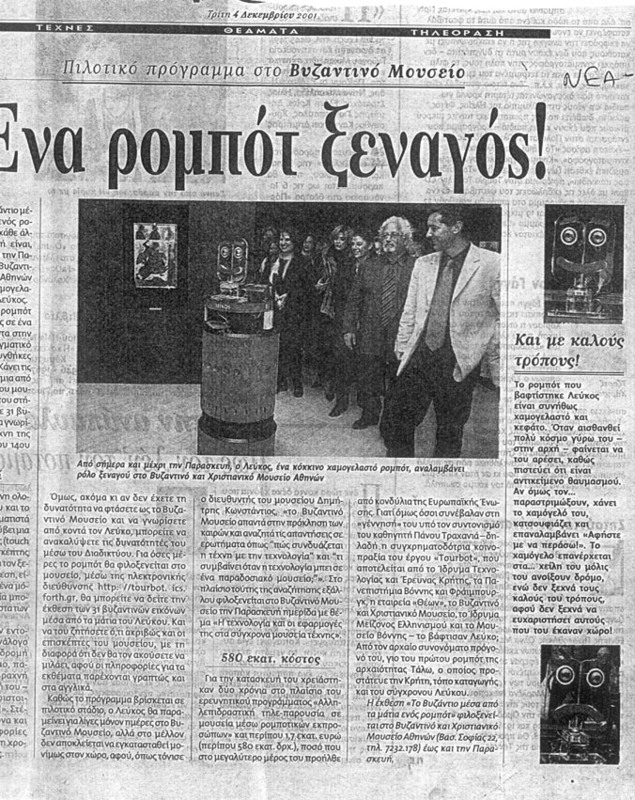 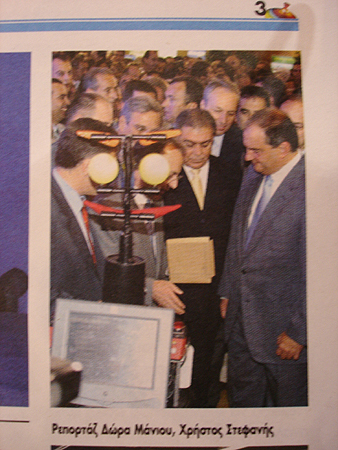 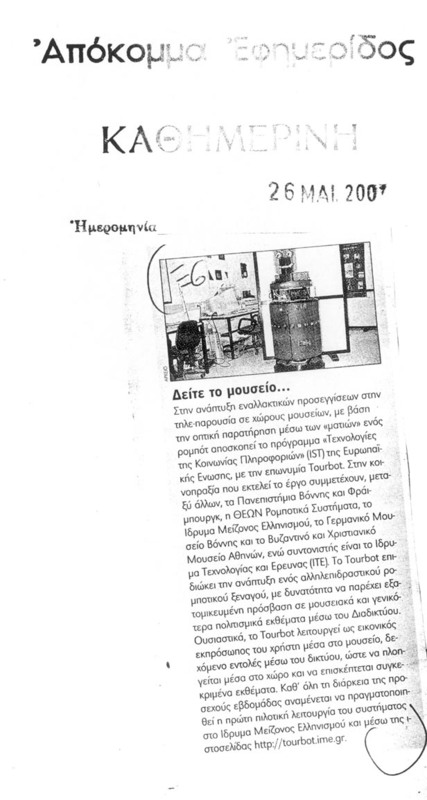 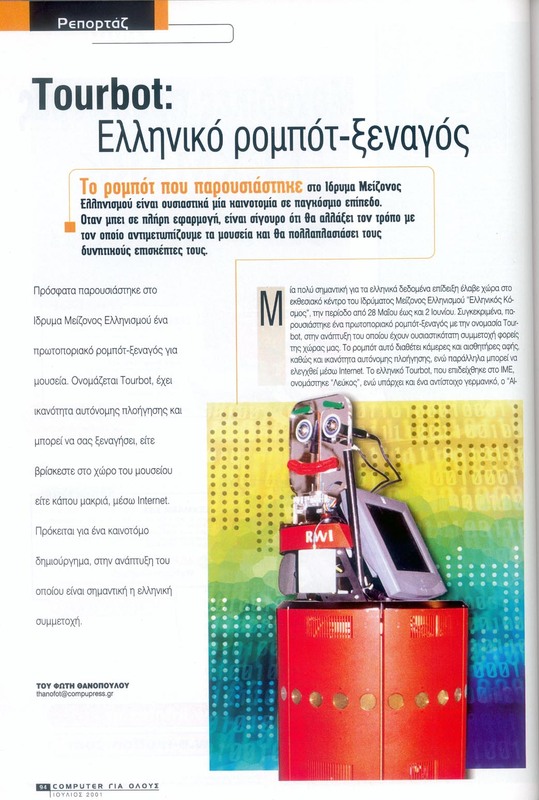 Articles about the TOURBOT event at the foundation of the Hellenic World.